With Image to PDF Converter Command Line, convert image to PDF, e.g., TIF, TIFF, JPG, JPEG, GIF, PNG, BMP, etc. 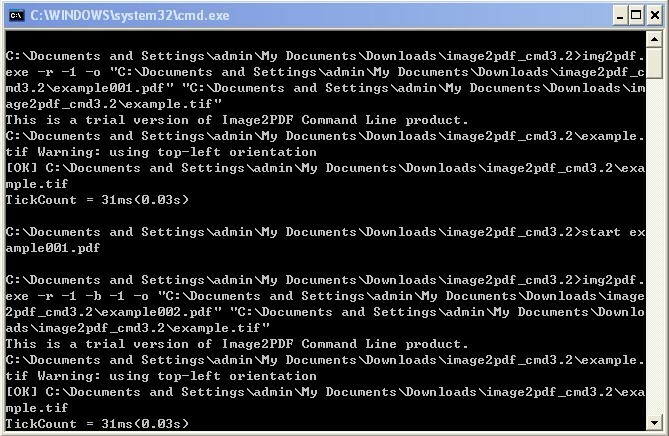 Image to PDF Converter Command Line is an easy and powerful tool for convert image to PDF file. With Image to PDF Converter,convert image to PDF by Command Line, e.g., TIF, TIFF, JPG, JPEG, GIF, PNG, BMP, PSD, WMF, EMF, PCX, PIC, etc. You also can customize description ofcreated PDF, such as title, subject, author, and keywords. This program is independent of a third-party PDF reader or creator.Feature of Image to PDF Converter Command Line:1.Support command line operation which is useful for script inclusion or manual use.2.Specify any resolution for converted PDF.3.Add bookmarks to a specific page.4.Support wildcard character arguments for batch conversion, e.g., *.tif, a*.jpg, etc.5.No need for other PDF reader or creator software in conversion.6.Combine multiple images into one PDF.7.Able to combine files in one directory to one PDF.8.Convert Multi-page image file to PDF. Edificius Free UPP Architectural BIM design: discover how to obtain floor plan views, section views, elevation views, isometric views, perspective views and renderings from a single 2D or 3D model automatically and continuously updated.